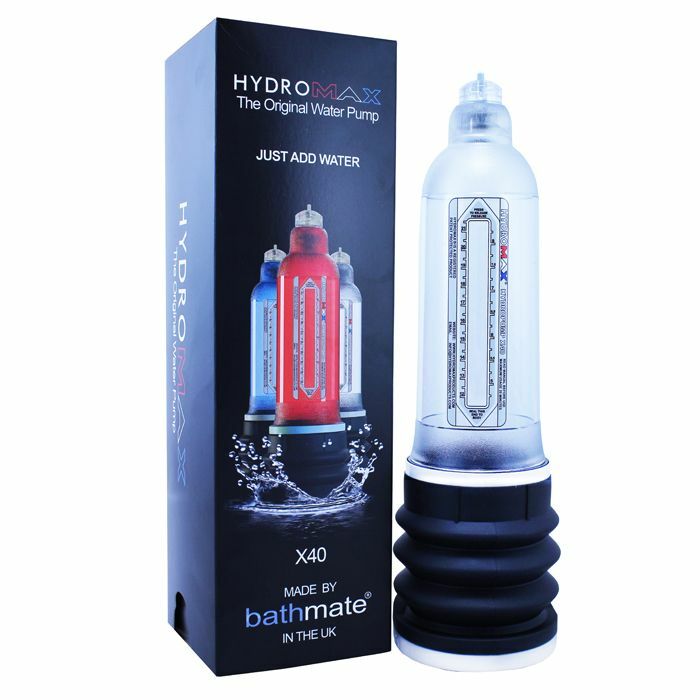 Bathmate's Hydromax X40 is a larger version of our best-selling X30. Great for gaining length and girth. Increases stamina and stiffness. Also is a fantastic pump for helping larger men deal with erectile dysfunction. 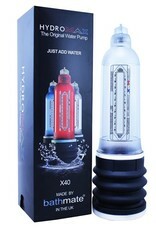 The X40 provides the very latest in hydro pump technology including: Superflow latching valve for one hand filling. New bellows system provides 35% more suction for BIGGER, FASTER gains. Soft sealing comfort ring for superior pelvic support and comfort. Slow-release valve to ensure you cannot overpump This larger Hydromax is the ideal size for men currently over 7.45" erect or already have above average girth. If your width of head or shaft is approaching 2" then this is the right pump for you. Allows for gains up to 10"!